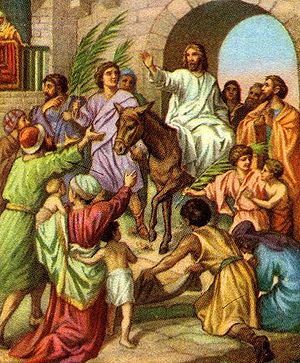 As I’m celebrating Easter Sunday today, Orthodox Christians are celebrating the day I had last week: Palm Sunday. Following Palm Sunday, they’re going to have their own Holy Week, in which Jesus will go through what He went through this past week with Catholics, leading up to Him dying on the Cross yet again, before resurrecting. That’s too much work for a deity in a couple of weeks, don’t you think? And quite redundant as well. So I ask this. The fact that there are two Easters means that one may be right, the other may be wrong – or both may be wrong at that and Easter should be set at a totally different date altogether. I don’t want to go into who’s right and who’s wrong. That is besides the point. I don’t want Orthodox fanatics going all “Orthodox, Orthodox” on me, trying to prove they’ve got the correct Easter. And I don’t want Catholics to go all “holy Pope” in trying to prove theirs as well. I also don’t want to hear about the various weather theories: it rained on our Good Friday, God must be on our side. It’s 2012 people. There needs to be a credible approach towards setting a date for Easter that works for both sects, every year. I wouldn’t mind a twelve day vacation every time, as well. If anything, being Christian is going beyond your pride, which I think is the only hurdle facing unifying Easter, and working towards the unity of the Church – at least when it comes to the crucification of Jesus. 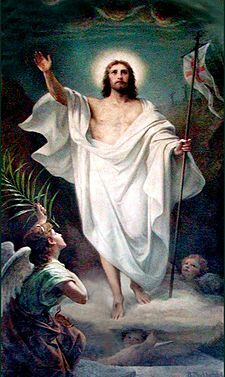 Until then, Happy Easter to Catholics and have a great Palm Sunday, Orthodox people. Hopefully there will come a day where I can say Happy Easter to both every year, not on sporadic years where both Easters happen to be simultaneous. I was almost 15 back then and sitting huddled next to the altar at my hometown’s old church which never fit all of us. It was also very cold. It’s common for parishes to bring in priests for Easter week in order to present a new perspective to the congregation. The priest at the time was not out of touch with the popular feel spreading around. 8 years later, I still remember that sermon as if it were yesterday. And I’m afraid to say that no, I don’t vote for Jesus all the time. It’s simply way too difficult to turn the right cheek as if nothing happened. It’s so difficult to be good to people and not expect them to be good in return – let alone them betraying you. Life is a work in progress, I guess. My faith may not be the one the Church asks of me and I may struggle with it on a daily basis. But I work towards keeping it and attempting to vote for “Jesus” not through going to Church every Sunday and memorizing every Bible verse but by being a good person who’s good to others and expecting them to be good to him – despite all the signs pointing otherwise. Have a contemplative Good Friday, everyone. There’s a reason Christmas is the favorite time of the year of many people. I am one of those people. No matter how hard life could be treating me – regardless of whether my problems can be considered grand or minute – I always find the Christmas spirit creeping up on me as soon as November turns its last page. There’s just something about this holiday that transcends hardships, the division of religions… and there’s more to it than the glitter of Christmas decorations and gift purchases. To me, Christmas runs deeper than that. My earliest Christmas memory is from back when I was three. I remember getting this present involving a “car” which ran on batteries that were recharged out of an electric socket. It was pretty high-tech back then. That same Christmas eve, it snowed in my hometown – the very first Christmas I remember was white. But what’s probably the highlight of that Christmas for me was not the very awesome gift I got or the snow that piled up outside my room’s windows. It was sitting with my parents, grandparents, uncles, aunt and baby brother, next to a fireplace as my mother chanted Christmas hymns. My mother has a terrific voice, which she inherited from her father whom I never knew and her singing Majida El Roumi’s “Bilayli Berdani” on that night will forever be ingrained in my memory: the way this simple song was able to keep the light in the room when it was dark. However, as one grows up, the joy that is brought by Christmas starts to lessen. You get more excited about the vacation you’ll get from school and the gifts you’ll receive from various family members much more about the obvious meaning of the holiday. The Pope called this in this year’s Christmas sermon “superficial glitter” – and he’s absolutely right. We stop at the superficial regarding Christmas without ever going a little deeper than that. Even the word Christmas has a contracted form now in the form of X-mas. How hard could it be for anyone to type five extra letters, I have no idea. Whenever Christmas rolls around, shops start to get their prices ready for the huge influx of shoppers that are there to spend their paychecks. And we’ve all done it. But I, for one, don’t do it because I feel like getting gifts is something I have to do, although I admit when the shopping gets horrible I begin to wonder why I’ve gotten myself into that mess. Why I get gifts is because I feel happy when I see my grandmother smile as I hand her a sweater or my mother have a tear in her eye as I give her the perfume I bought her. The joy that comes from Christmas is not one from the materialistic. It’s a joy that flows around the air, that transcends the mundane motions that going through life entails. It is the happiness you feel when you’re at a shopping mall and you find a father carrying his toddler son on his shoulders and dancing to the tunes of Christmas songs blasting through the speakers. It is the unconscious smile you have on your face when you see an impromptu Christmas parade around the streets in Achrafieh, knowing that no matter how grim the situation might be, this a time for everyone to be happy. The joy from Christmas comes from the warmth of your family all huddled next to you, sharing a meal, hoping that these people will be present at this same meal the following year. The joy from Christmas arises from the distinct memories you have of every Christmas eve you’ve lived through – and how even through the darkest places your family has gone through, you can still find smiles on that day. Merry Christmas to all. And on the day where God gave the world His Son, whether you believe that happened or not, it is fitting that you also give back to those who are less fortunate. Donate to a charity, or a cause or anything you might see fit. Give and let live. Forgive those who have trespassed against you for that is the true meaning of Christmas. And on this Christmas, my heart goes out to all the people in the world who are suffering because of their beliefs, especially the Christians of Egypt and Iraq. May they find the peace they need with the smiles they have on Christmas day. Talk about ultimate weirdness… but the group responsible for this year’s summer dance anthem has canceled their Lebanese concert, according to NRJ, the event organizers. The cause of the cancellation? “LMFAO have canceled their event in Lebanon due to threats they received from some fanatical extremist Christians who think their Extremism is the voice of Jesus. 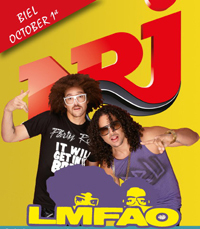 Here’s the broadcast NRJ released announcing the cancellation. I had no idea such groups existed in Lebanon in the first place. 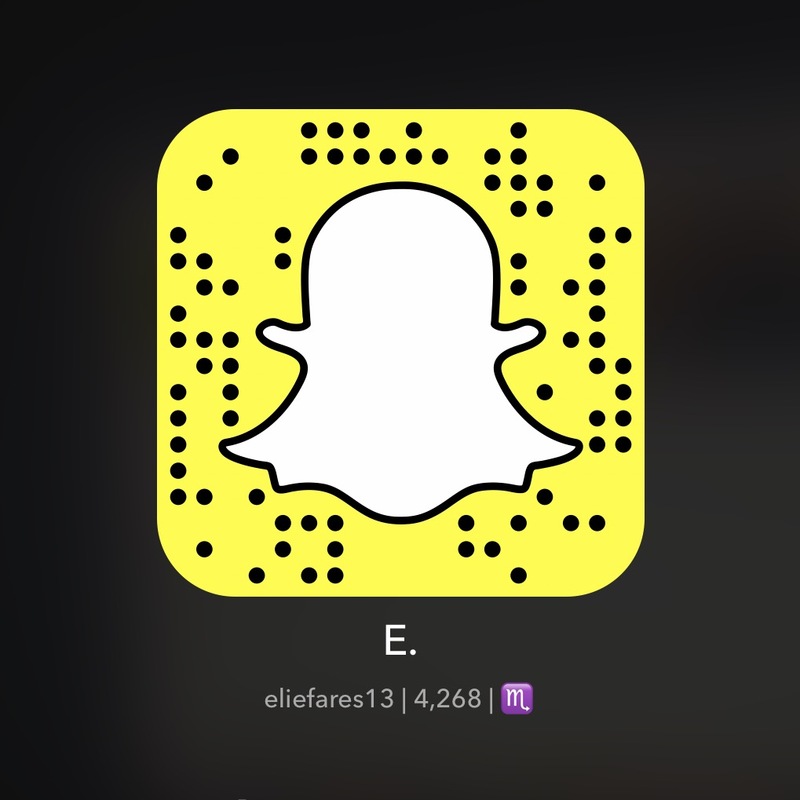 Is anyone else familiar with extreme Christian Lebanese groups? If so, what exactly are their resources to get a death threat all the way to the band? NRJ’s statement continues with them wondering if, in the future, Lebanon won’t be able to host eccentric artists like Lady Gaga or Madonna. But I digress. I’m still pretty caught up with the idea of the extreme Christian group sending a threat to LMFAO and them buying it. I really hope this turns out to be some joke. 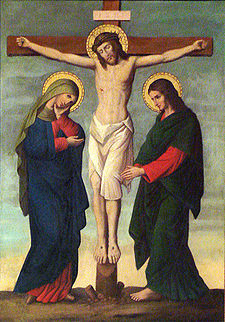 Posted on April 19, 2011 by eliefares Tagged aprilCalendarCamrbridgeChristianityDisciplesEasterGospelsJesusJewishJohnLast SupperLukeMarkMatthewMosesPassoverProfessorReligionThursdayWednesday	Comments6 Comments on Jesus Christ’s “Last Supper” Was On A Wednesday? Jesus Christ’s “Last Supper” Was On A Wednesday? It apparently looks like it. According to Cambridge professor Colin Humphreys, the Last Supper took place on April 1st, 33AD, a Wednesday, not a Thursday as is widely celebrated in Christianity. The event where Jesus passed on the Eucharist is one of the key events of Holy Week. Professor Humphrey’s study suggests that the events of Good Friday did not actually take place in one day as previously thought but were spread out over both Thursday and Friday. 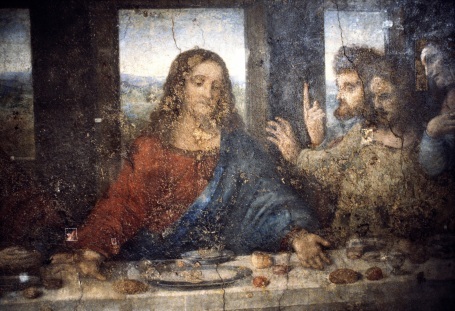 In his book, The Mystery Of The Last Supper, Humphrey uses Biblical, historical and astronomical research to address the inconsistency of the issue at hand. It seemed to many that the Gospels do not agree on when exactly the event took place. Matthew, Mark and Luke say it took place with the start of Passover, whilst John said it was before Passover.